WOW! 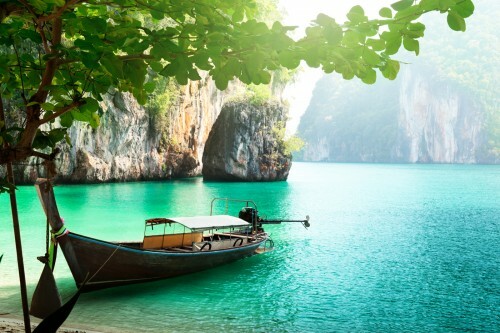 Last minute tickets to Thailand: Phuket for only €250! UPDATE 15.1.2019: LTUR again offers really cheap flights to Thailand, this time from Zurich to Phuket for only €255. Direct flight with 23 kg check-in luggage included in the price. Fixed dates 19.1.-27./28.1. BOOK NOW, check screenshot. UPDATE 16.2.2017: Last minute flights from Cologne to Phuket are again available for only €254. Fixed dates 22.2.-7.3. or 24.2.-7.3., 23 kg luggage is included in the price and it’s a direct flight! Book now, check the screenshot. Wow, what a day! We brought you super cheap flights to Chile first, then some sweet deals in Europe and now we top it off with this dirty cheap deal to Thailand. Return flights from Cologne/Bonn to Phuket in Thailand are now available for only €250! 23 kg check-in luggage is also included in the price. Hurry up and book this ticket, it will be gone within few hours! « HIT! Cheap flights to Mexico: Cancun for only €265!